You are here: Home » Sewing Tool Organizer! Judy Laquidara Quilt! Pentagon Patchwork Balls! DIY Lap Loom! Old Fashioned Photo Strips! Elephant Plushies! PLUS . . . Recipes, Jokes, Art, Design & Memories! Sewing Tool Organizer! Judy Laquidara Quilt! Pentagon Patchwork Balls! DIY Lap Loom! Old Fashioned Photo Strips! Elephant Plushies! PLUS . . . Recipes, Jokes, Art, Design & Memories! The first guy with the lab puts sunglasses on and hands the other guy a pair. “Follow my lead,” he says. The man replies, “It’s O.K., this is my seeing eye dog.” The waiter apologizes and leads the man to a table as the second man enters. Isn’t this the greatest? I may have to marry the designer (do you hear that, Amy?). Here’s a free sewing tutorial for making your own foldable stitching organizer! I love this. LOVE this! Start here . . .
Here’s how to make an old-fashioned photo strip from your selfies, youfies, and wefies. Finally, you get to use your computer for something more than Facebook! Check it out . . .
Make a colorful bowl of patchwork pentagon balls for your autumn and/or Christmas home. I think baskets and bowls filled with these are not only pretty, it shows off your work (just an FYI, I would use a silk thread to piece these so that the stitches do not take away from the final piece – I’m sure the designer used the white thread to illustrate her stitches). It’s a great portable slow-stitching project . . . In a small bowl, mix marinade and honey; set aside. On a griddle, cook franks to preferred doneness. Toast hot dog buns and spread cream cheese on each side. Place a cooked frank on each bun and pineapple spear on each side of the frank and drizzle with marinade mixture. Sprinkle with bacon bits. This incredible collection of surreal photo manipulations have been created by Russian photographer and artist Oleg Dou. GO AHEAD! Make your own custom lap loom in under an hour! This is great therapy and a great way to keep your mitts out of the Lays while you watch TV. Start here . . . Mix together all ingredients, except chocolate chips. Use your hands. This will take awhile – maybe 10-15 minutes. Roll into 1″ balls. Place on tray or cookie sheet in a single layer. Freeze overnight. Next day, melt chocolate chips in double boiler. Dip frozen balls in melted chocolate. I use a long doll/craft needle to hold the balls. Place on trays/cookie sheets lined with wax paper. Refrigerate until chocolate is hard.Store in airtight container in refrigerator. Can last up to 6 weeks this way. Okay to keep at room temperature for a few hours (parties, work, etc). Makes about 120-130 balls. Okay to ship. I like the people at Camelot Cottons. They’ve always been very nice and earnest in their design approach (hardworking, too). That’s why, finding this little tutorial for the Elephants using Camelot fabrics gave me a welcomed morning smile. Why not make a set. You know you know someone who would love them. Here’s the patterns . . .
I’ll be visiting Fabric Affair in Troy, Michigan! On Friday evening I’ll be giving my wild talk (the fun one)! All day on Saturday, I’ll be teaching my Lemon Cathedral Workshop! THE SLOW STITCHING MOVEMENT WEBSITE? DON’T MISS A THING, MISS THANG! ← Smocking! Upcycled Window Coffee Table! Embroidered Autumn Brooch! Philadelphia Pavement Quilt! Cluster Burst Crochet Edging! Woven Jewelry! PLUS . . . Recipes, Jokes, Art, Design & Memories! Thoroughly enjoying your blog, Mark. I’m in awe of how much you put into each one and the time it must take to prepare each. – I enjoy the laughs and the inspiration. Was surprised to see the Patchwork Balls. They make good little baby gifts. I’ve made a good many as gifts. They are perfect for tiny hands to grasp, and one day, to throw. Safe and soft! Hello Mark! I think FB is messing with you. I must get ten to fifteen notifications a day for you now! I never got them before the blog. I had to go to your page to see your stuff. I had no idea you did so much every day. 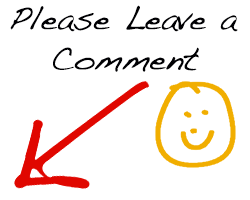 Do you get as much feedback with the blog as you did on FB? Me too — I enjoy your blog every day……except when I get behind…..then I catch up and get saturated with ideas! It’s great to have your perspective and that you’re so willing to share — Here’s hoping your day gets less weird! Love your blog and wonderful sources of inspiration! Love love love your blog. I still have most of my issues of Quilter’s Home, from when it was good. Now I feel like I get a bit of that everyday through your blog. Thank you so much. LOVE the land”scaping” section! I also pinned the sewing tool organizer – it would make a great gift! I would miss you so much if I could not find you here anywhere. One thing or another brightens my every day! Love your blog, always such interesting things Mark. The landscaping project especially amazing. Thanks for always capturing our attention.